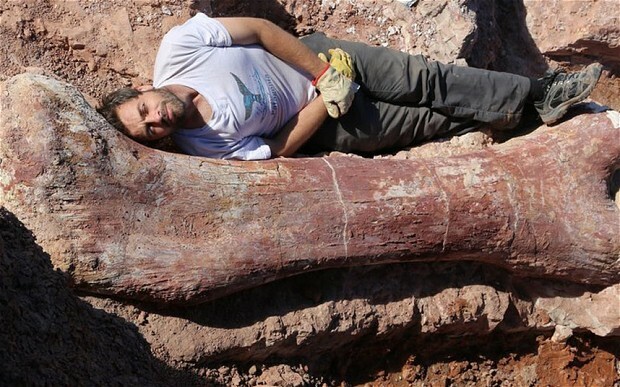 You are here: Home / Blog / Titanosaurus: Largest Dinosaur Ever Found But is it the Largest Animal? This new dinosaur is a new species of Titanosaurus. Titanosaurs are a kind of plant-eating long-necked sauropod that lived mostly in the Jurassic Age. Titanosaurs have already been found in Argentina, Antarctica, and Europe but these new specimens are the largest species of Titanosaurus yet. This new find isn’t just of one new individual but rather seven Titanosaurs all together in one location. Researchers suggest they died together possibly stuck in some mud or huddled together in a storm. But after their death it seems pretty clear what happened. A number of T. rex-like carnivores scavenged the bodies. We know this because mixed in with the Titanosaurus bones were 60 carnivore teeth likely lost while trying to bite through the tough skin of the herbivores. Last year I wrote about Titanosaurs but that article was just about their eggs (Fossil Wasp Cocoons in Dinosaur Eggs: Evidence of a Complex Ecology). In fact it wasn’t so much about their eggs as it was what was found in some fossilized eggs. 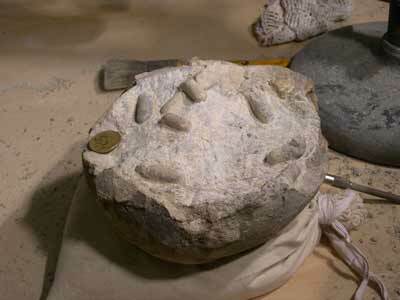 Some eggs have been found with fossilized wasp cocoons in them. This is a case where fossils can tell us about the ecology of the past. There are wasps today that lay their eggs in rotten or broken eggs and use that at a food source for their young. It seems that wasps have been doing this since the time of the dinosaurs. To the right is a picture of one of those eggs with the fossil cocoons inside. You can see that a Titanosaurus egg is not much bigger than eggs of large birds today. Imagine the size, and cuteness, of a Titanosaurus just after it has hatched from an egg like this? 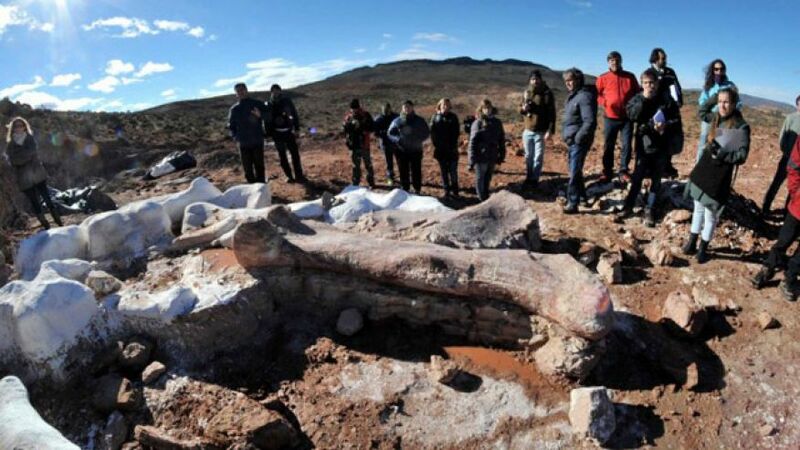 This post is an updated version of a post from 2014 written at the time of the discovery of the fossils in Argentina. I think there is a typo. I’ve seen reports saying the titanosaur was 70 tons, not 170 tons. Thanks, I have that corrected. 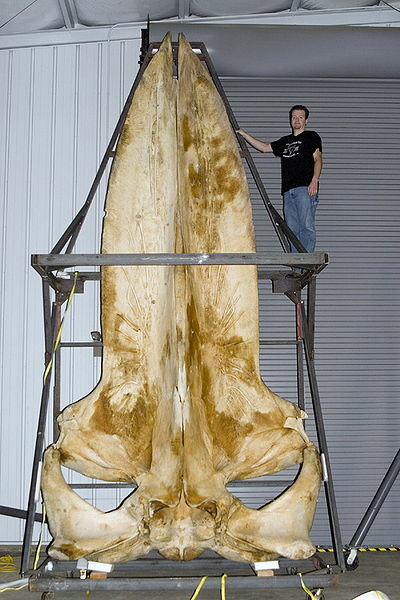 I have to admit that I was getting a bit confused in the various reports and looking up the blue whale data with the conversion of different measurements used (short tons/tons/punds etc.). While sauropods in general are known most commonly from the Jurassic, titanosaurs specifically are almost all Cretaceous, replacing most of the more commonly known Jurassic sauropods. They have been found throughout the world, including North America and Antarctica. It’s stuff like this that makes me wish I had a time machine. These creatures are amazing.